How do you effectively optimize chiller plant operations? If you're serious about making a real impact on energy consumption and operational efficiency, the OptiCx platform is a must-have solution. With a continuous, self-actuating optimization methodology, the OptiCx platform minimizes energy use across a cooling system. OptiCx customers have access to an entire team of plant optimization experts. And advanced relational control algorithms, which make continuous, automatic system adjustments, are at the core of the solution. It's an award-winning approach with a growing base of committed customers, and now the OptiCx platform is taking a big step forward. Introducing OptiCx Dynamic Sequencing: optimization software that learns and adapts over time. Available as an add-on for customers with a subscription to the OptiCx platform, Dynamic Sequencing learns how chillers perform in a variety of operating conditions. The software uses this data to improve overall plant efficiency by determining the most efficient chillers to run. Dynamic Sequencing is configured to meet a plant's chiller runtime requirements. The software analyzes a running total of recent chiller performance data, along with the plant load. It then predicts the next day's load, develops optimal equipment combinations and sequences for maximizing system efficiency, and routes these recommendations to the Building Automation System (BAS). Dynamic Sequencing works in conjunction with OptimumLOOP™, an operational module in the OptiCx platform. While OptimumLOOP determines operating setpoints and parameters to turn on or off an additional chiller, Dynamic Sequencing provides additional system instructions on which chiller(s) to use. The combined effect is the most powerful chiller optimization solution available, offering substantial reductions in energy and water use. When combined with Chiller Diagnostics — another OptiCx platform add-on product — Dynamic Sequencing assists in identifying maintenance issues. If you're serious about chiller plant optimization, the OptiCx platform is your starting point. And now, Dynamic Sequencing gives you an opportunity to boost efficiency even further. OptiCx Dynamic Sequencing learns how chillers perform and uses this data to improve overall plant efficiency. 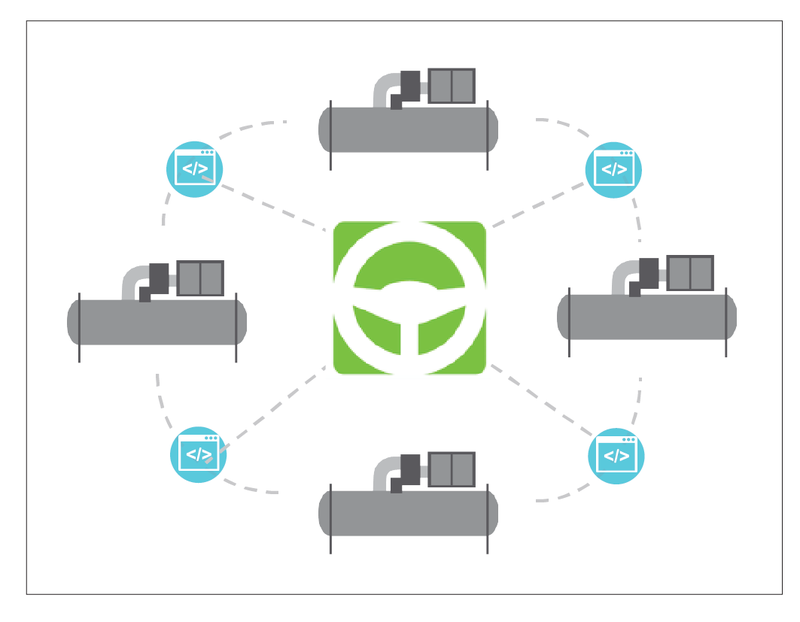 Dynamic Sequencing boosts the operational efficiency and energy savings that the standard OptiCx platform delivers. Light green areas show when Dynamic Sequencing was turned on at a customer's plant.